The used forklift market has grown significantly in recent years. Many small to medium-sized businesses purchase used forklifts to save money. These companies lack the purchasing power of larger corporations, and buying used forklifts is one way to cut costs. Used forklifts can be found in your local newspaper’s classified section, auction and dealer websites and also OEMs (original equipment manufacturers). After a thorough search, you should be able to locate a forklift that aligns with your price and performance needs. If you’re looking to buy a used forklift and have scheduled a test drive, there are a few “tricks of the trade” worth considering. A recent online post at PR Wire points out some crucial tips. Schedule an extended test drive. A short 5 minute drive will not reveal any major flaws. Keep comfort in mind. A forklift’s ergonomic features are very important, especially if you’re an operator that spends 8 hours per day in the driver’s seat. Invite the salesperson to your facility. This helps determine whether the used forklift can handle your unique needs (loads / logistics / layout of the building, etc.). Rentals are a nice short-term fix. 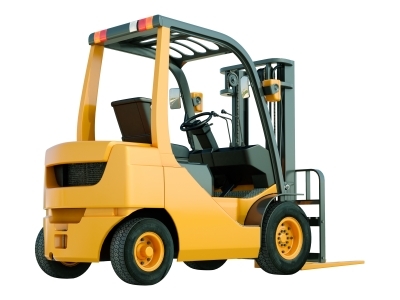 If you’re unsure of which make or model of used forklift to purchase, try a rental. After a few weeks, you can make a better decision when it comes time to buy. Buying a used forklift is one way to reduce business expenses. Another method is proper driver training. For a minimal upfront cost, ForkliftCertification.com will give your drivers superior instruction which helps reduce accidents, injuries and other serious hazards. Whether you’re looking to purchase a new or used forklift, you’ll need to ensure your drivers and operators are compliant with the latest OSHA guidelines. ForkliftCertification.com offers convenient, online training programs that can fit any budget. What’s more, credentials are immediately available – there is no downtime waiting for official cards. Please give us a call at (888) 278-8896, or check out our contact page for additional information about our company. We’d love to hear from you.